Bean Bags R Us NewsPool Bean BagsAre Air Loungers Modern-Day Death Traps? They are cute, cheap and fun, and they have become immensely popular Christmas gifts, but inflatable air loungers can be deadly. Through NSW Fair Trading, the Australian government has issued a warning about the safety hazards of air loungers after multiple reports of near-drownings emerged. Air loungers are tubular fabric structures that are filled with air to form a canoe-shaped lounge or bed. Some include an internal plastic liner in addition to the fabric cover. They are intended to replace outdoor furniture and are often marketed as air sofas. It’s relatively easy to order an air lounger online as they are sold through a variety of international suppliers. Now Lounger is a popular brand. Although printed recommendations for use seem to be non-existent, some air lounger advertising includes photos or other suggestions that the product is appropriate for use in water, which has led consumers to use them as floats in pools, rivers, and lakes. Unfortunately, when used in this manner, the loungers can lose air quickly, and the liner material may split. Both situations can lead to a drowning hazard when users became entangled in the loose liner material and forced under water. According to consumers who have experienced the problem first-hand, the products offer no safety warnings or instructions for use. Two recent incidents stand out as clear examples of the seriousness of air lounger hazards. Anthea Chester from Melbourne bought a Now Lounger for her 12-year-old daughter Hollie as a Christmas present. While Hollie was using the lounger in the pool, the lining split without warning and engulfed her body. The lounger’s inflation port shot upward, forcing her under the water. As the liner fabric clung to her face and body, she became frightened and disoriented. She couldn’t see and didn’t know where the edge of the pool was. Hollie’s mother and a family friend were nearby and were able to free her quickly. Had Hollie been alone or in deeper water, the outcome could have been much worse. Julie Kosy reports that her 76-year-old father almost drowned on Christmas Day due to a Now Lounger. While relaxing on the lounger in the pool, the man suddenly lost his balance and was wrapped inside the liner and pushed face-down into the water. The lounger had turned inside out and then flipped in response to his movements, encasing him and clinging to his face and body like shrink wrap. The terrifying experience left him struggling to breathe and fighting for his life. Fortunately, neither of these terrifying experiences ended fatally, but the risk is clear. Both Kosy and Chester posted warnings through social media. Kosy reached out to the manufacturer and requested that they warn against using the product in water, but the Now Lounger company offered little response. What Are Australian Authorities Doing? The disturbing reports are under review by Commonwealth, State and Territory product safety regulators under the authority of the Australian Competition and Consumer Commission. NSW Fair Trading is currently advising consumers not to use inflatable air loungers in or near water due to safety concerns. Children should be under supervision while they are using the loungers; if unexpected deflation occurs, the liners may pose a suffocation risk even when used outside of water. 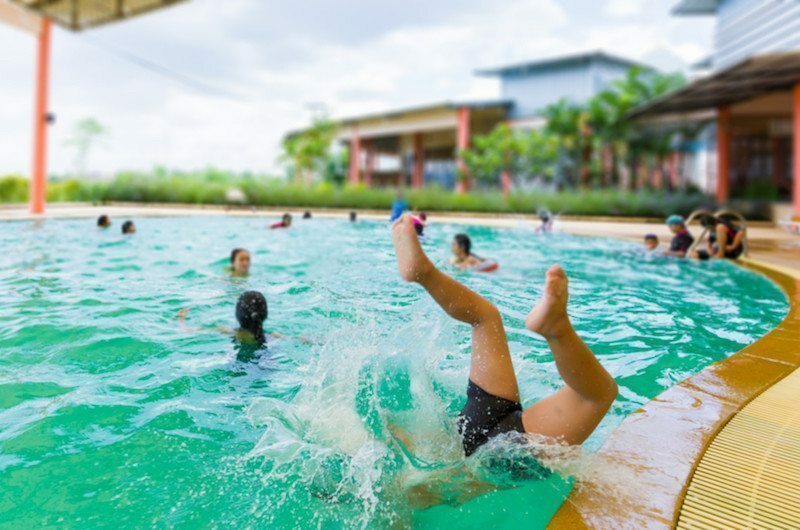 If you own an air lounger, stop using it in water immediately, and remove it from pool areas to ensure that children cannot use it as a flotation device. Consumers are strongly encouraged to report incidents related to the use of inflatable loungers. You can reach the NSW Fair Trading by telephone on 13 32 20 or contact the ACCC online at www.accc.gov.au. At Bean Bags R Us, the safety of our products is our top priority. Our range of heavy-duty Pool Bean Bags is specifically designed to be used safely in the water. Because they’re not inflatable, you don’t have to worry about losing air unexpectedly or becoming entangled in flattened cover material. Thousands of polystyrene beads keep them afloat, and these remain safe inside a heavy-duty, tear-resistant liner that is designed to last for years. A mesh underside makes draining easy, and a child-proof safety zipper ensures that little ones can’t gain access to bean bag filler. Unlike air loungers, our bean bag floats never go flat or slip from beneath you. They’re large enough for two people to share, and they’re a bold, stylish addition to your outdoor decor. If you’re looking for the ideal Christmas present, give a gift that will keep your loved ones safe and comfortable. 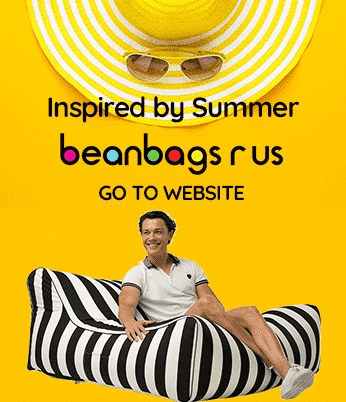 Order one of our exclusive pool bean bags or other great outdoor bean bags today. This entry was posted in Pool Bean Bags.